I have had multiple discussions about which automated testing process is the best for a variety of applications I have come across in my career. When you are starting a Greenfield application, the discussion isn't that hard. However, for Brownfield application development, the discussion gets more heated, when your application is hard to test. Legacy components and bad architectures could cause this. Or maybe the application does not have to perform complex algorithms, does not have complex or clearly defined business rules, or is a complex (or simple) CRUD Application. In any of these cases, the application will be harder to test. This article is about that last case scenario – automated testing for CRUD application. How do you test applications where TDD just does not feel right - when Unit Tests provide so little added value (or are so complex) that developers rule out automated testing (which is a shame!). Because if you abandon automated testing, you abandon the positive and proven impact it has on your code. Not everyone reading this article has the same technical background. So, I'll go over some core concepts, making sure that everyone is up-to-speed. TDD (Test Driven Development): While this is not an article about TDD, you cannot write about Integration Testing (or automated testing of any matter) without writing about Test Driven Development (TDD). TDD is a software development process that relies on the repetition of a very short development cycle. Requirements get turned into specific test cases. After this step, software is written or improved which will allow the new tests to pass. TDD provides a short feedback loop. It leads to a better design (SOLID, DRY and KISS principles will be easier to implement) and less production bugs. You also feel much more confident when refactoring and introducing new team members gets much easier. Unit Testing: This is an automated software testing method by which individual units of source code are tested to determine whether they are fit for use. You test particular pieces of valuable or critical code which results in better architecture, easier maintenance, and better documentation. A fairly contested question is: how large is a unit? Well, it depends, but experts commonly agreed to keep Unit Tests small and simple. So, the Unit is as small as possible in your code base. Code Coverage: This is a measure to describe the degree to which the source code of an application is executed when tests are run. If you have a high code coverage (so a lot of unit tests that span across the lines of code of your application), you have a lower chance of running into bugs, compared to applications with lower code coverage. A good deal of different metrics can be used to calculate code coverage, which is measured as a percentage. The most basic is the calculation of the percentage of application statements called during the execution of your tests. Figure 1: Different categories of tests. Figure 1 is a simplistic visualization of three different categories of tests. Depending on who you ask, there will be more. But I'm certain almost everyone can agree with these three concepts as a bare minimum. Starting from bottom to top, tests are cheaper to run. You should have as many tests as possible (or viable). Where Unit Tests cover smaller code bases, Integration Tests will test multiple modules or systems as they interact together. One Integration Test will result in higher code coverage as there will be more application statements called during the execution of these tests. They are often used to test external services, like databases, APIs, etc. So, these tests are more expensive (take longer) to run. End-To-End tests will test the application as a whole, by testing the UI (using frameworks like Selenium, etc. ), or calling an API layer. These tests are the most expensive, and you should only write them if they are necessary. 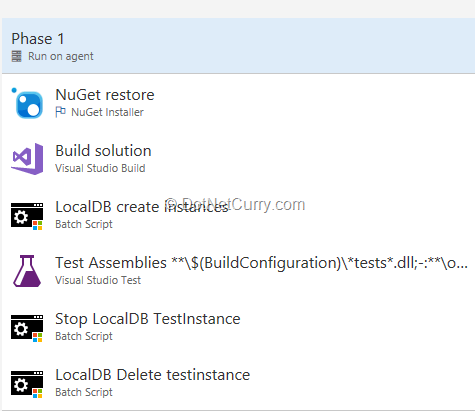 Editorial Note: If you are developing ASP.NET Core applications, read this series of articles by Daniel which talks about an automated testing strategy involving unit tests, integration tests, end–to-end tests and load tests. As we go back to the example stated in the introduction, Integration Tests can be more valuable than Unit Tests. Applications with lots of legacy code, or CRUD applications, will benefit more from Integration Tests. For the record, always work towards an architecture where TDD or Unit Tests are more viable. I am not disagreeing with that. But sometimes you have to work with what you've got, when the architecture just doesn't allow high levels of Code Coverage and the project budget does not cover changes in that area. In this article, I will address the issue of writing code to perform automated testing for CRUD applications, i.e. testing the database. This sample can be applied to brownfield application as well though. Like Unit Tests, source code is tested in an automated context. For Integration Tests the "Units" under test are larger. You test entire systems or multiple modules instead of small code units. Integration Tests have to run in an automated context (Continuous Integration Builds). Integration Tests take longer to run and can require (external) dependencies. Mocking is almost impossible. Because the system under test requires a lot of different modules, or because you want to test the actual results of an external service (like a database). Can't you Mock your external services? But in an application as described earlier, the test results will not represent a real-life situation. Let's say you have an AuditManager (that audits who changed an entity) or you work with “soft deletes” (when you don’t physically delete records from a database but use an “IsDeleted” flag to set the deleted state of an object). You could Mock these scenarios, but should you? Do Unit Tests really provide more code safety in these situations? How will you test these managers as they interact with your repository? Or with your Business Logic layer? At a certain point, the mocking becomes so complex and is so arbitrary that Integration Testing just makes life easier. The first goal for this article is to test CRUD features of our database and keep that process simple. The challenge lies in the latter - providing a Testing Database that can be reused, shared across developers, and deployed on the Build Server. After reading this article you will be able to add Integration Tests to any project, with only a couple of code changes. This is perfect for what we are trying to achieve! It is simple, it will run on a Continuous Integration (CI) build, and you don't have to create tables or change anything in your code. There is a simple command-line tool available to enable you to create and manage instances of SQL LocalDB. I'll list the most important commands you can use below, but you can look at the Microsoft documentation too over here for a full list of features. sqllocaldb create|c ["instance name"] -s Creates a new LocalDB instance with the specified name. -s starts the new LocalDB instance after it's created. sqllocaldb delete|d ["instance name"] Deletes the LocalDB instance with the specified name. sqllocaldb stop|p ["instance name"] -i -k Stops the LocalDB instance with the specified name. -i requests LocalDB instance shutdown with NOWAIT option. -k kills LocalDB instance process without contacting it. sqllocaldb info|i Lists all existing LocalDB instances. In our new Integration Test Project, add a Bootstrap class that registers all our modules (using Autofac as IoC container). If you're not using an IoC container, you can skip this step. We will use MSTest as testing framework throughout the sample. 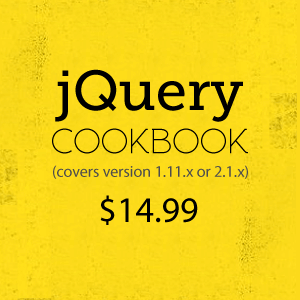 Other popular frameworks like NUnit or xUnit will also work. 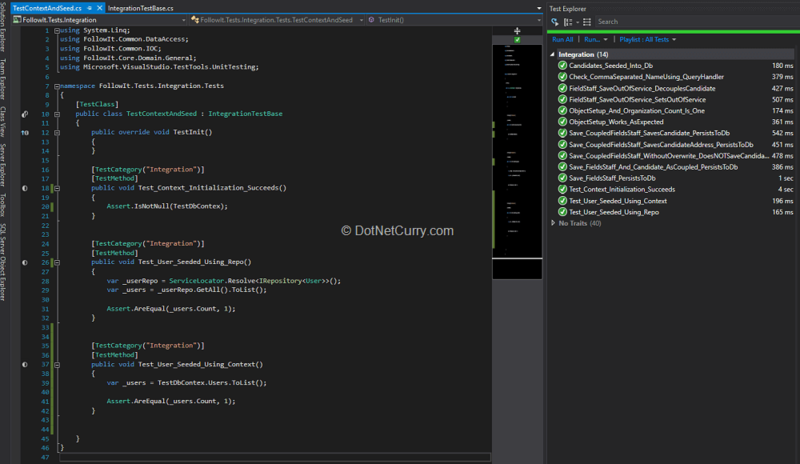 //The Entity Framework DBContext that we will use in our Integration Tests. //Set to protected so that child classes can access it. If you are using Autofac, you can use the ServiceLocator pattern to get your DB Context. Otherwise you can use Init Method to build up your context, services you might need, etc. If the application is run in DEBUG mode, we will also create a new SqlLocalDB TestInstance. You could use the default instance, but following this step ensures you that the instance is available, can be cleaned up, etc. Using ProcessStartInfo for creating a SqlLocalDB Instance is not ideal! But to keep everything simple, striving for the least amounts of required code changes, this solution is good enough, for now. Providing a LocalDB abstraction could prove useful, providing more control and abstraction to the programmer. But, that's basically it! Now you can start writing tests! This test will call the actual (local) database using a Repository. It fetches all the Users and ensures that exactly one user is present in the database. Since everything is already set up, we could just as easily resolve a (business) service, a controller, anything you want! You can run this code in the IntegrationTestBase class as well. And that is it, you can now perform actual testing against your local database! Viewing your Test Explorer gives you that automatic feeling of victory when everything starts turning into green! If you are using .NET Core, you can configure Entity Framework to run 'In-Memory', which would be even better and easier than the sample we just saw. But if you are not working with .NET Core, the solution above is extremely valuable. 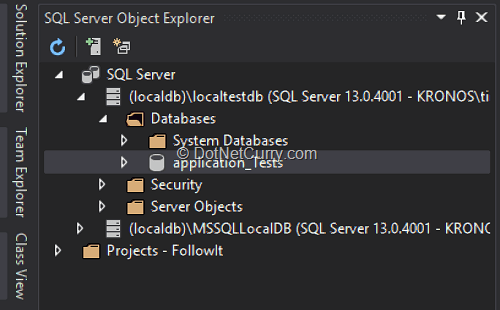 You can view your local database using the Sql Server Object Explorer. The above code sample is a very simple example on how to set up Integration Testing. It is intended as bare-minimum, to keep the scope of this article as small as possible. But, it provides system and database testing without having to change a lot of code to set it up. So, Goal #1 achieved! But, we also have to be able to run our new tests in an automated context. We have to be able to configure and run a CI (or Continuous Integration) Build that has a SqlLocalDB instance available and runs the tests against it. Integration Tests are more expensive than Unit Tests. That's what we saw earlier. So, it would not be a good idea to run these tests in a "normal" CI Build process. To prevent that, we need to exclude all Integration Tests in the Build Configuration. In the code samples earlier, you saw the following attribute: [TestCategory("Integration")]. This allows us to distinguish Integration Tests from other Unit Tests. This is important because you commonly have two (or more) CI build definitions - one that runs after each check-in, and the other one that runs once a night. In the first one, we only want to run the Unit Tests because they are quick in execution and work as a first line of defense. Integration Tests take longer, and you want to run them once a night i.e. in a "CI Nightly Build". For the Integration Build, we will need to do some more configuration to automate the process. The example provided below works on a hosted pipeline, so you can use it for free! SqlLocalDB is available on VSTS build agents. So, all you need to do is make sure the instance you configured in your ConnectionString is available. We use "Batch script" tasks to create and manage the SqlLocalDB instances. These are simple Command Line tasks that execute on your Build Agent. Let's create the instance. Make sure you have the correct SQL Server path available. This may differ between hosted pipelines. If you are using the (free) Microsoft-hosted agents, you can check the installed software here. 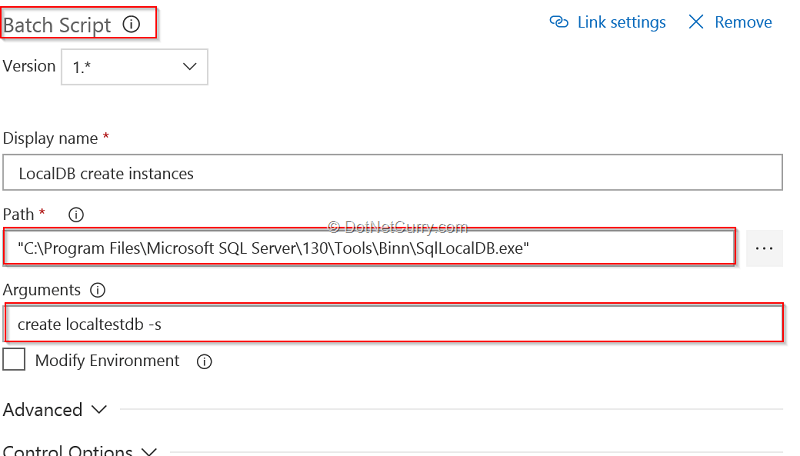 Depending on the installed version of SQL Server, you have to change the version number in the path “C:\Program Files\Microsoft SQL Server\130\Tools\Binn\SqlLocalDB.exe”. By specifying create localtestdb -s we create and start the instance that will be used for our DB tests. 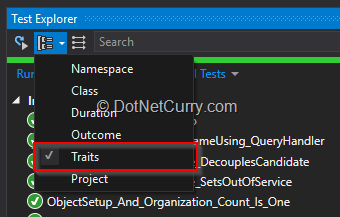 After this task, we can add the "Visual Studio Test" task and leave it with the default settings. This will run our Unit and Integration Tests. After this we should clean up our LocalDb Instance. This is not really required, but I recommend it all the same. Create a new "Batch Script" task which executes SQLLocalDB and configure p localtestdb -k as argument. This will stop and kill the instance process without contacting it. After that you can include the last "Batch Script" with d localtestdb as argument. This deletes the instance. A common myth in development teams is that any sort of automated testing is complex and time consuming, especially in Brownfield application development. I hope that with this example I've shown you that not only is it not complex, you can add Integration Tests without modifications to your code. The process is simple, there is almost no pain, and the gain is substantial. The feeling you get as a developer when you see your code coverage sky-rocket, all your tests shining in green, that's just awesome! As described in the introduction, we now have a simple and automated way to run Integration Tests on any project. I hope you can integrate this way of working into your development process and experience the gains of having high code coverage!